To mark this milestone T&R Theakston Ltd is hosting a Brewery Open Day on Saturday, June 1, with the emphasis being very much on “a family day out”. “When the Theakston family lost control of the brewery in the 1980’s no one could have imagined we would get it back again. “It was always our desire and wish that one day the Theakston family would once again own and run the business. That wish came true ten years ago, and what better way to mark this significant milestone than by throwing a family-themed party! “We are holding the event here, at the brewery, and the day will feature a host of activities to entertain the whole family. We are also taking the opportunity to raise money for our chosen charities, Ovarian Cancer and Combat Stress. “Three of our major sponsorships will be represented; the Theakston Old Peculier Crime Writing Festival, Theakston Nidderdale Cricket League and the Ure Salmon Trust Project. “Our Cooper, Jonathan Manby, will be challenging visitors to ‘raise a barrel’. It promises to be a great occasion and everyone at the brewery is very much looking forward to the celebration. 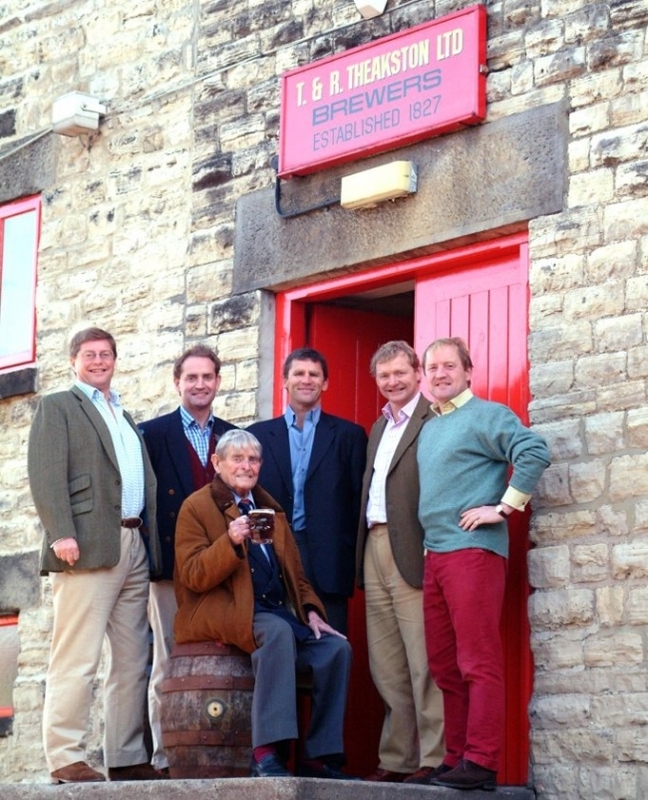 The Theakston brothers (from left) Nick Theakston, Edward Theakston, executive director Collin Wood, Simon Theakston, Tim Theakston and front row the brothers’ father, Michael Theakston, pictured a decade ago.